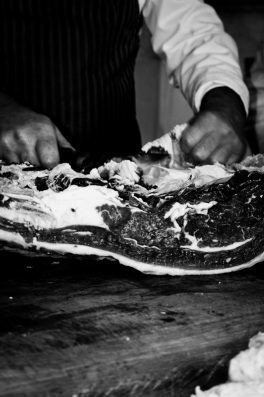 Northfield Farm has been accredited as a butcher by the Rare Breeds Survival Trust since 1997 as a tribute to the quality of our produce and the principles according to which our stock is bred and reared. Since opening the Northfield Farm Shop in 1997 when we supplied most of the meat from our own fields, the business has grown considerably. It has always been our aim to encourage others to breed, rear & finish rare and traditional breeds. We have what is best described as an ‘informal co-operative’ of around 30 such suppliers. This ensures that greater care & attention have been lavished upon the animals than is possible when sourcing from very large farming businesses.We believe passionately that if farming & specialist food production are to survive, the producer & consumer must strive together to ensure traceability and excellence. We make all our own multi-award-winning burgers and sausages here on the farm. We also cure and cook our award-winning Salt Beef, and dry cure our own bacon. Should you wish for a sausage or burger flavour that we don’t currently make, or a different size, we will be happy to make up a batch especially for YOU. Why not come up with a recipe for your next family barbecue or party? How creative can YOU get? We supply game in season, much of which has been shot on and around Northfield Farm. We also supply truly free range Geese and Bronze Turkeys for Thanksgiving and Christmas. It is advisable get your orders in as early as possible as supply is strictly limited and they are incredibly popular! Why choose Rare & Traditional British breeds? 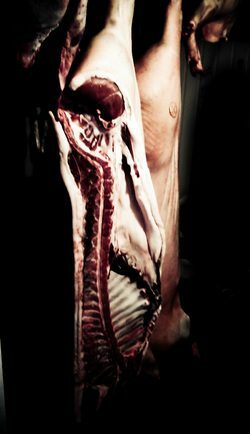 As with so many other things these days, British supermarkets value quantity over quality.When applied to meat this means that the animals are generally bred to be intensively reared, to come to weight quickly and cheaply, resulting in a bland and tasteless product.The animals are often fed a diet that increases their weight at an extreme rate and may be kept indoors away from their natural environment.Here at Northfield Farm we have chosen traditional breeds that are reared slowly and naturally outdoors, except during the worst of winter when they live in our barns and are feed from hay and silage which we have made from our own grassland.Slowly reared animals taste better because their flavour has had time to develop at its natural rate.Yes, it is more expensive to farm this way, but once you have tasted meat as it is intended to be, you will see why we are so passionate about it.These breeds are a valuable part of our heritage and we are incredibly proud of them.When we are not able to source specific breeds and animals as outlined above, we purchase the best quality British, Scotch & Irish Beef we can find and hang it on the bone before butchering it. 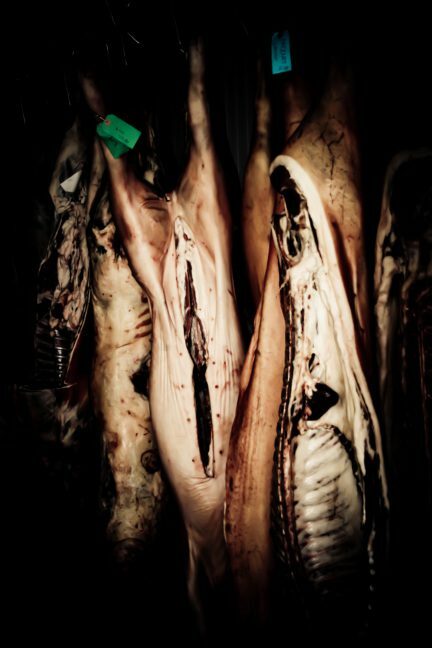 We use three local abattoirs, one of which is located on a neighbouring farm, as we are, in the Borough of Melton Mowbray.